Recently, a game called Necrobarista caught my eye. It’s about a cafe the dead return to for one last cup of coffee, and it’s got an art style that screams Persona. That’s no coincidence. Necrobarista’s developers told me the game arose from their “love-hate relationship” with anime and visual novels. Necrobarista is, at its core, a narrative game that owes a lot to anime and Japanese visual novels. Its main story takes place over the course of one night, beginning with a bit I got to play where three main characters bicker over the power in the cafe going out. Unlike many visual novels, however, the game is fully 3D, allowing for a dynamic camera, animated characters, and a general sense of style you don’t usually get from this sort of game. The scene I played was brief, but it was full of clever dialogue and intrigue. It goes deeper than technical bells and whistles, though. The Necrobarista team wants to tell stories that are human first and foremost, with the fantastical element as more of a conduit for interesting, authentic moments. 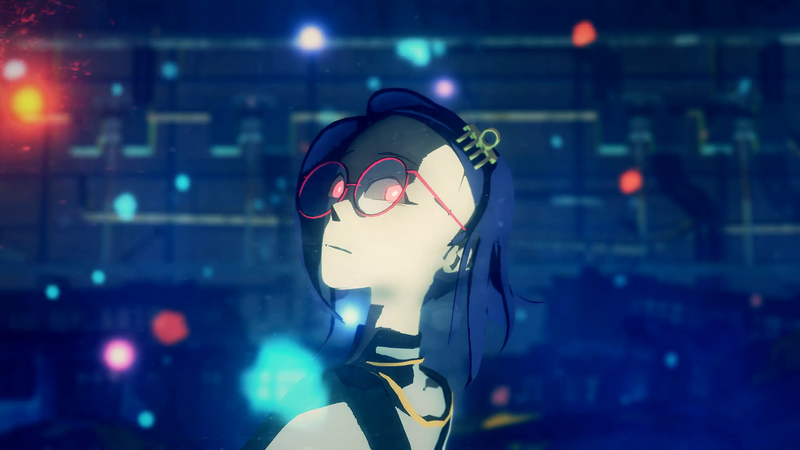 Oh, and about that setting: while Necrobarista is heavily inspired by Japanese media, it’s set in Melbourne, Australia, where the game’s development team is based. It might seem odd to set a game like this there, but Chen and co want the game to be rooted in a sense of time and place, ala Japanese games like Persona and Western games like Kentucky Route Zero. The Necrobarista team is drawing on a pretty wide range of influences, but there’s no denying the promise of what they’ve put together so far. They hope that, when the game comes out later this year, it’ll strike a cord.